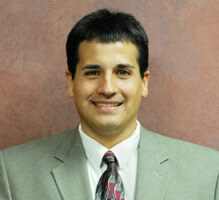 Eric came from Farmers Insurance Group where he was the Regional OSJ Manager for Farmers Financial Solutions. LLC supervising 80 District Managers in IL, MN, WI. He partnered with Alan Candos in 2002 to help build the Employee Benefits Division for the Candos Agency. Eric focuses on helping individuals, couples and families protect and build their assets. He also works with small businesses in the areas of employee benefits and business continuity planning. Eric is a "Qualifying Member" of The Million Dollar Round Table 2003, 2004, 2005, 2006, 2007, 2008, 2009, 2010, 2011. The Million Dollar Round Table (MDRT) is an international, independent association of more than 35,000 members, or less than 1 percent, of the world's most successful life insurance and employee benefit professionals from 476 companies in 76 nations and territories. Eric qualified for "Court of the Table (COT)" in 2004. COT members distinguish themselves within the industry through their superior performance by producing at a level three times that of MDRT membership requirements. Achieving membership in MDRT's COT is a career milestone attained only by those who have demonstrated exceptional professional knowledge, client service and ethical conduct. Each year, more than 3,500 MDRT members qualify for the COT. Eric is also a Championship Qualifier for Farmers Insurance Group (FIG) 2003, 2004, 2005, 2006, 2007, 2008, 2010.Being among the top 3 percent of FIG agents means Eric has the training, knowledge and customer service experience required to help you select the right coverage to meet your insurance needs. Eric graduated from Benedictine University in 1991 and worked for Farmers Insurance Group from 1992 until coming to the Candos Agency in 2002. 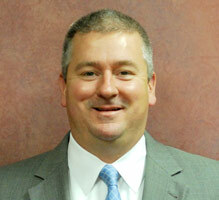 Eric has his Life Underwriter Training Council Fellow (LUTCF) designation. The respected LUTCF credential is a professional designation earned through advanced studies in the area of Life Insurance. Eric lives in Shorewood with his wife Deanna and their 5 children. With Candos Agency since 2005, Steve excels at customizing employee benefits programs to fit the needs of both current and prospective clients. Once the plans are selected, Steve meets with plan members to explain their health plan options either in a group setting at the office or even individually at an employee's home. Steve graduated from Northern Illinois University with a degree in Finance. He and his wife Courtney have one child and reside in Plainfield, Illinois. 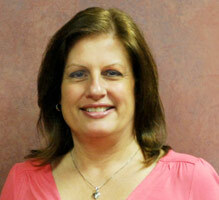 Carol has worked in the insurance industry for the past 27 years and has been with the Candos Agency since 1997. Her responsibilities include implementation and servicing of group and individual health, and life service applications along with assisting groups with the administration of employee provided benefits. Carol also acts as a liaison for group and individual clients with benefit providers. Mary has been with the Candos Agency since 1995. 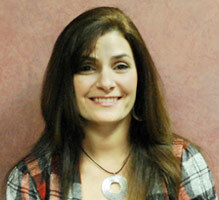 She is responsible for the implementation and servicing of employee benefits for both group and individual insurance.